State VI was built 1964 at the Vator Boatyard # 774 (Chaje 3 is #770). The boat did not qualify to the next olympics and Dr. Chance chartered the boat to the Canadian Olympic 5.5 team. After the Olympics in Tokyo State VI came back to Finland. 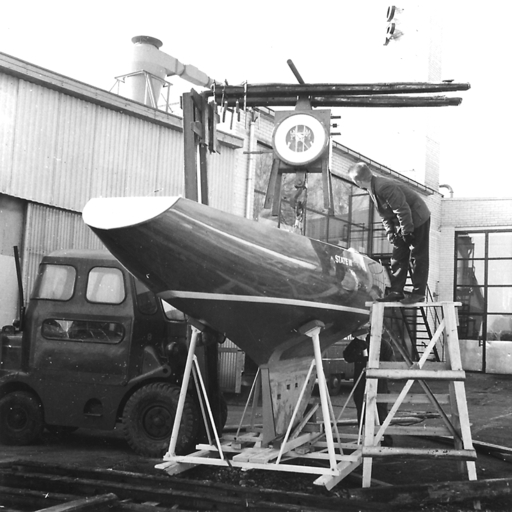 It was trimmed at the Vator Boatyard and was in the Helsinki boat show 1965 with Canadian sails hoisted. Next summer 1965 Dr. Chance sailed raced the boat in Naples World 5.5 metre Championship and was 18th. Dr. Chance kept the boat at least to 1968 when got his last 5.5 Complex VI US-78 from Vator. In 1971 World championship in Seawanhaka the boat was sailed by Eleanor Chance Swett. Vator built three 5.5s to Dr. Chance and the first was Complex 5 US-51 built 1963. Vator was quite well represented in the Tokyo Olympics with three entries. There were also Chaje 2 and Xolotl.